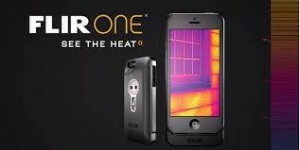 This is going to be a milestone year for a technology that can add useful information during a home inspection.Thermal imaging is not new. My father worked with airplane mounted thermal imaging systems when he was in the aerospace industry back in the 1960’s. (And they cost over $100,000.) I used them for analysis of circuit design in the 1980’s when I was an electrical engineer. (And they cost over $10,000.) This year they will be available for under $400. All they need is to attach to your smartphone. 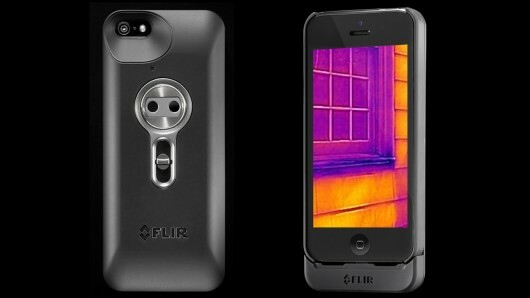 FLIR, a company that has a large market share for the current thermal imaging cameras, is introducing their FLIR ONE. It attaches to a smart phone and will give users a new way to look at the world. The concern is that reading and interpreting thermal images is not a task for amateurs. I participate on a number of home inspector type forums and there is constant debate about the use of thermal imaging in residential inspections and problems with liability and mis-interpretation. I personally had an energy audit done this last year and the auditor used a thermal imaging camera and even he wasn’t always sure what he was seeing. We recently posted a video about thermal imaging. The new technology brings new questions and new concerns however. The bottom line is that we are not qualified to pass judgement on what shows up on the thermal imaging camera. Buyers need to rely on home inspectors for that knowledge.